On Tuesday the 19th of January the intrepid souls of the Dr Johnson’s House Reading Circle sat down to talk about The Enlightenment. Luckily they were aided in this mammoth task by Roy Porter’s mammoth book Enlightenment: Britain and the Creation of the Modern World. The book is an expansive look through the long eighteenth century, focussing on the scientists, writers, talkers and doers of the period to make an argument that there was an English Enlightenment, even if it didn’t look much like the version spread by continental philosophes. With such a large topic, and each of the 22 chapters able to generate a few hours of discussion in itself, the conversation moved quickly from one place to another and rapidly switched back from the sublime to the ridiculous and back again. (I apologise for the ridiculous). One of the key factors of the book is that it is lazy to say The Enlightenment, as there were many different projects all with broadly Enlightenment ideals, creating many kinds of Enlightenment. Whether this was from the rationalisation of Anglican Christianity, the hundreds of different protestant groups or the full atheism of Hume - all held a certain optimism that life, society and human nature may all be understood, and improved. 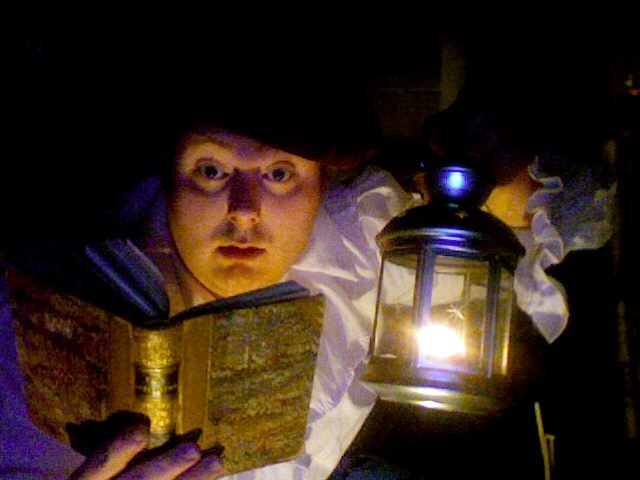 The book explored the life and thinking of many English people, focussing particularly on the influence of Locke, Bacon and Newton as opening up new vistas of thought; from the improvability of human-kind and society, techniques for exploring the material world and the simple laws of motion - then it explored lives of people like Thomas Day. Thomas Day was a bit of an all-rounder; hanging out with Erasmus Darwin and the rest of the Lunar Society, writing a bestselling novel, campaigning for the abolition of the slave trade and … training up a wife. Day, unable to find a perfect woman, decided to create one. To do this, he adopted two young girls from orphanages, one for a wife and one as a spare, and tried to train them into the perfect woman. He tried to encourage them to be stoic by dropping hot wax on them and firing blanks at their petticoats. 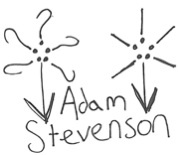 Unsurprisingly, the experiment didn’t work and neither became Mrs Day, lucky for them. There was an interesting discussion about whether Day was manipulating the women, or whether they were playing him. The contract they signed allowed the women a comfortable life if the experiment didn’t work out and could it have been possible that both were holding out not to have to be his dearly beloved? Day’s attempts at experimentation ended in disaster when he decided to test out a theory that horses didn’t need to be broken to be ridden, he was kicked and died soon after. 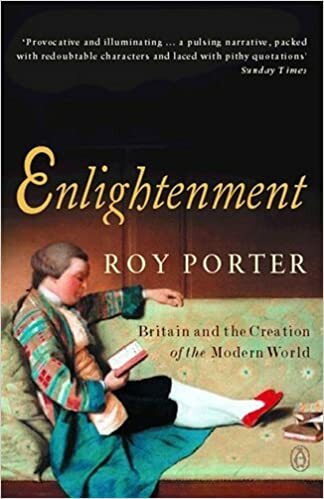 In Porter’s book, Day’s story is almost played out for laughs and many sitting round the room wondered whether the book, in trying to argue his case, was rather too optimistic about the whole Enlightenment. We thought he could have included more about how individuals took on enlightenment ideas for themselves. Samuel Johnson being a very good example, a man whose Christian Humanist tendencies struggled with fully accepting the Enlightenment thoughts but whose rational nature couldn’t let him abandon them. Afterward we all went for some pizza and discussions continued. Is the long eighteenth century a useful time period? When did people start using it? (We reckoned the 1920s) And how many of us had jaunted up to the Isle of Wight at some point? The waitress told me, with some element of surprise, that the Venezia was the most favoured pizza on our table. Her tone suggested that it was not a particularly popular pizza in general, what is it about Johnson-ites that are attracted to sultanas on pizza? - Now that is the big question. I found your blog after googling 'Theodore of Corsica' to provide some background for a Tumblr post (http://londondevils.tumblr.com/post/138284570343/belzingburst). Not only did I find just what I needed, I then clicked to your latest post and found... Thomas Day! I love Thomas Day, in a 'horrified fascination' sort of way. His wife-training project hints at the dark side of the Enlightenment: cf Edgeworth on the unfitness of the English working class to receive Liberty etc: ‘In England to make a carte blanche fit to receive the proper impression, you must grind all the old rags down to purify them.’ Brrr! I think I missed this comment when it was created - thanks for commenting, I'll check out the book, only 2 years late.